Gorgeous Alex, I am so glad that you came in for some more baby photos today, 6 months old is such a beautiful age that is so fun to capture. Sitting up so proud of how far he has come … holding, chewing, first teeth, sitting, rolling, laughing and clapping are just a few of this little ones achievements since I last saw him for his newborn photos at two weeks old. 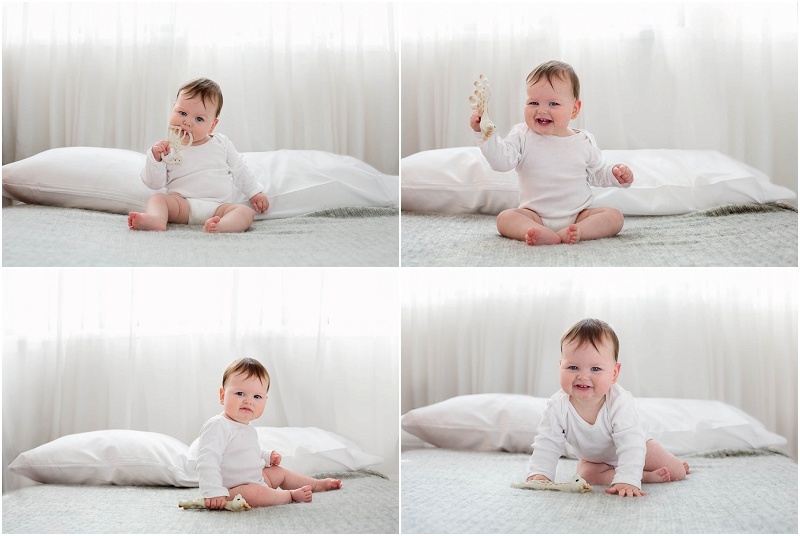 I take so much joy from capturing these beautiful milestones in a babies life and love seeing my baby club clients come back for each session throughout their first year.